The youngest of Coalcliff SLSC’s patrolling members smashed the club’s Iron Person event earlier this month, stealing the spotlight from senior members who have held the title for many years. Coalcliff’s Black Ironperson has been running for nearly 15 years, starting as a friendly training competition amongst club members. 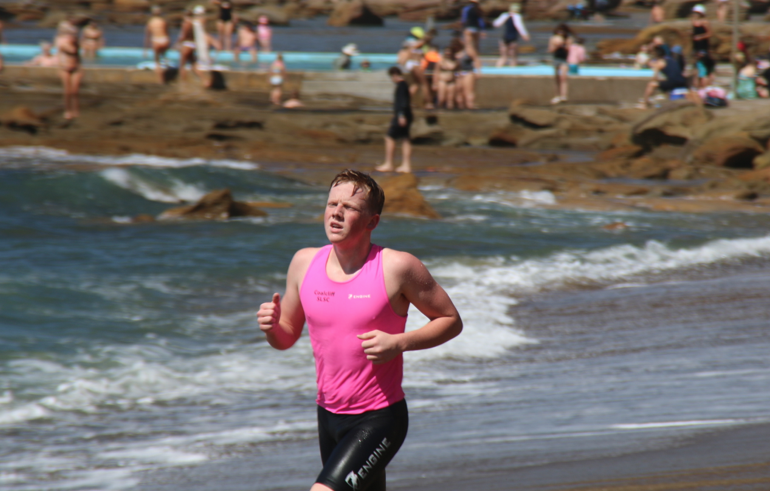 The event consists of two 800m runs, a 400m board paddle and a 400m swim. Club president Leo Stevens says the event came about when he was doing Gold or Silver Medallion. “We thought it would be good to run an event the same as Council Lifeguards are required to do each season,” he says. The perfect conditions saw the the young guns of the club Tianna Massey and Matthew Logan take the early lead in the 400m ahead of senior members Craig Picker and Leo Stevens. 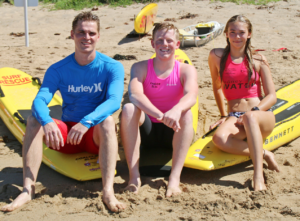 Throughout the race Tianna held second place behind reigning champion, Helensburgh seventeen year old Matthew Logan, until senior member Leo Stevens caught a great wave from the back, charging past Massey and emerging on the beach 2nd behind Matthew. Leo continued to hold this position for the remainder of the event. Inevitably, Logan was victorious in holding his title as champion, Stevens settling for 2nd place, and Massey coming in 3rd, making all junior members of the club proud.